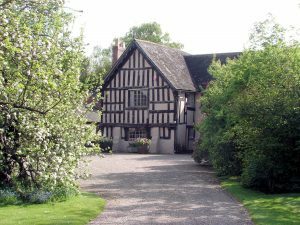 Wollerton at Domesday was Ulvreton and is derived from the Saxon name ‘Wulfrun’s – tun’, and can be translated as Wulfrun’s farm or house. 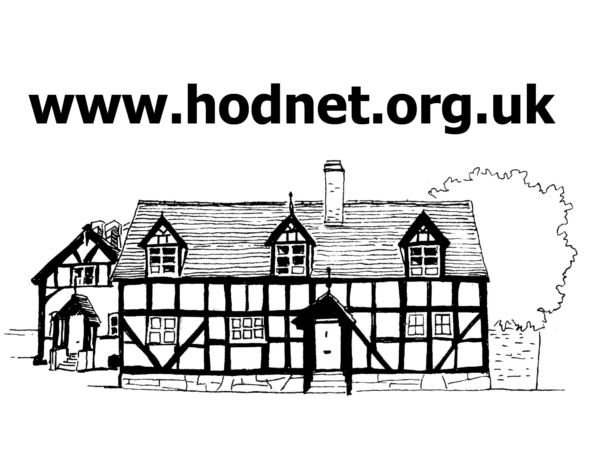 In 1066, the manor was held by Askell, but by 1086 it had passed to Earl Roger de Montgomery at which time it was part of Hodnet Hundred. It was held for Montgomery by Gerard de Tourney. Soon after Domesday Montgomery lost his lands, and Wollerton passed to Hame Peverel, who gave it to Shrewsbury Abbey. It then seems to have passed like Hodnet and Peplow to the de Ludlows and by inheritance to the Vernons. However at some point it was sold to the Lochards. After various sales it came into the possession of Richard Heber in 1816 and up to 1910 it was still in the hands of the Heber-Percy family. 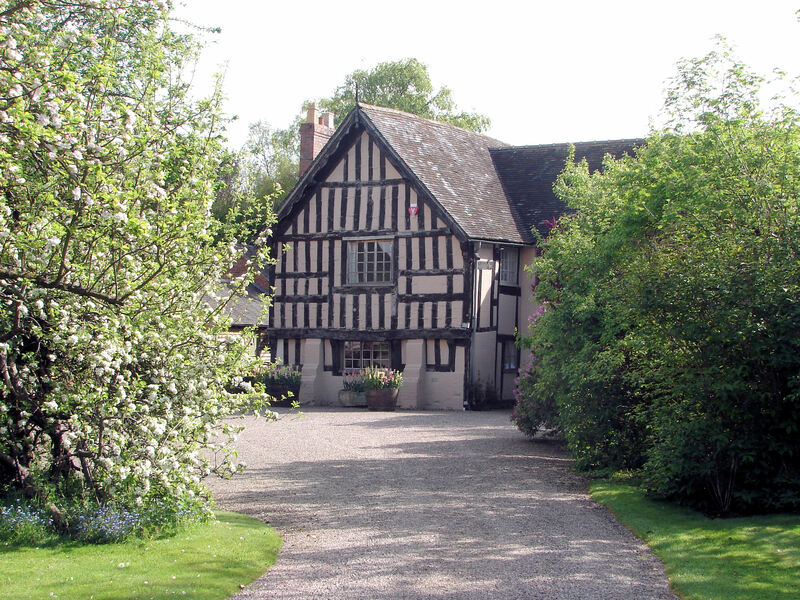 The late 16th century, half timbered, Wollerton Old Hall is now Grade II listed and has gardens that are open to the public. The Pound, a late 18th century brick structure, occupies a location at the centre of a road junction. This was built in order to corral wandering cattle, with a fine having to be paid in order to have them released. In the census of 1841 there were 40 houses and 231 inhabitants. Wollerton United Reform Church was built in 1867, on the site of an older church dating back to around 1800. Local residents put up the money for the church to allow Minister Captain Jonathon Scott, who had been preaching from horse back for many years, a more comfortable place from which to spread the word. 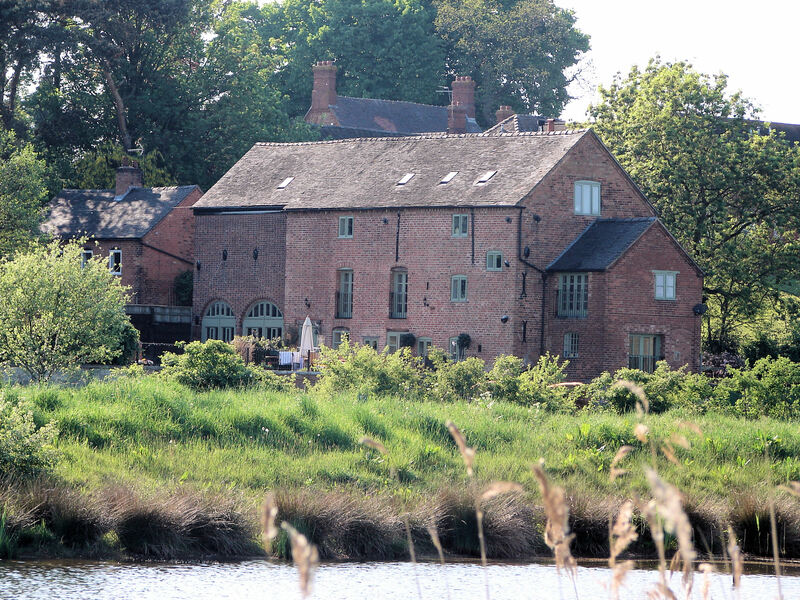 Wollerton Mill, once a corn mill now a private residence. There was an old corn mill (now a private residence) on the banks of the River Tern. A mill was mentioned at Domesday, but this is thought to have been at a different location. In addition to several farms and the mill, the village in the past had a shop, blacksmith, pub [the recently closed Squirrel Inn] a post office and a brick making works. Until the 1960’s a branch line of the Great Western Railway served the village which had its own station. This was closed down under Beeching. How times change. Wollerton is now merely a hamlet; with no local services other than a post box, phone box and bus stop and, unusally perhaps, a nursing home! Lostford was described in the 1851 census as a small ‘Township’ with a few scattered houses. In a directory of 1891 it is noted as having been a Roman settlement – the site of an old villa here is known. The name may derive from Saxon times, with the name given of ‘loxford’; with ‘lox’ being an old word for Lynx, a cat like wild animal – apparently still roaming these parts at that time (6th/7th century AD). Originally one of the members of Marchamley it was, before 1098, held under Rainald the Sheriff by Hunald, who granted two thirds of his tithes to Shrewsbury Abbey. It was later held by a family who took the name Lostford. It was then passed to the Audleys and was accounted a member of Red Castle. Occupations listed in the 1851 census mention four farmers, one of whom was also a ‘cheese factor’.